The real estate market in Destin has certainly been up and down in the past few years, but this spring it seems like it’s finally getting to a healthy balance. After years of price swings, single family homes and condominium prices are evening out and inching closer to predictability. Several years ago, the collapse of the housing market followed by the BP oil spill created a challenging real estate market where selling was not an easy undertaking. This year, however, is one of the first periods in which real estate values are significantly increasing. The general trend will be an increase in prices for all types of homes, condos, townhomes and apartments. Buyers coming from several cities in the southeast and several other locales are interested again in investing in a vacation home for their families or a retirement home in the Destin area. Since there is not a large inventory as of yet, sellers entering the market are supplying the demand of a larger amount of buyers. This creates a fantastic environment for sellers. A combination of an increase in tourism and an improving economy overall is infusing the Emerald Coast with great energy, especially in the real estate market. The improving economy means that more people are not only visiting Destin on vacation again, but they’re also thinking about buying a vacation or retirement home here. This spring, hotels are already preparing for a records number of tourists after a great snowbird season. For someone who is looking at the real estate market, this means a great increase in demand for property. Keep in mind a group of buyers in Destin also needs to consider the potential rental income they could receive from a vacation home. As a result this should be incorporated into the marketing of your home if you are selling this spring. Just because prices are rising does not mean that sellers can stop staging, preparing and marketing their home correctly. The very high end properties in Destin are projected to have a small increase in price and demand, but not nearly the increase that will be seen in lower and mid-range properties. Many of these properties did not see there prices fall dramatically during the real estate bust, but several of them have been on the market for awhile. This spring, it is predicted that they will have a much higher chance of selling, but owners should still be prepared to negotiate on price. The gap between asking price and the actual sale price is closing, but still remains separate. However, with positive spring outlook, there may be a higher chance of meeting your pricing goals. 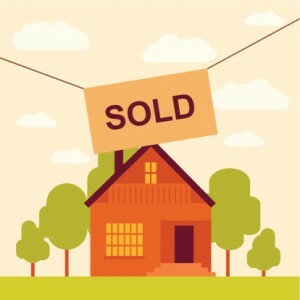 If you are still searching for more information about selling take a look at our Definitive Guide to Selling Your Home. Or if you want to contact us for any question, please don’t hesitate to call!